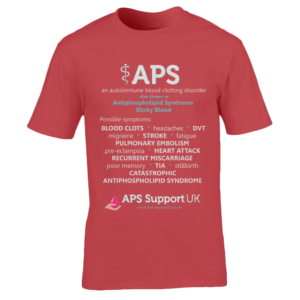 We have partnered with APS Support UK to bring to you these APS Awareness T-Shirts and other products. 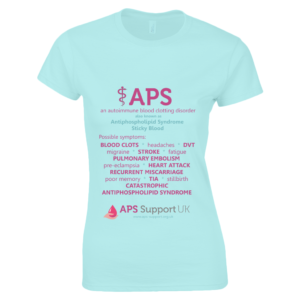 Our aim is to help raise awareness about both Antiphospholipid Syndrome (APS) and our partner charity, APS Support UK. 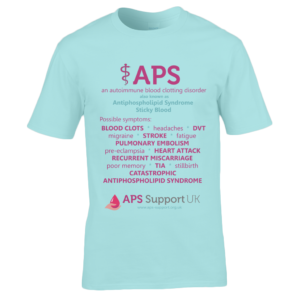 Each purchase you make will support the charity financially and, in turn, this will help support further education and research. 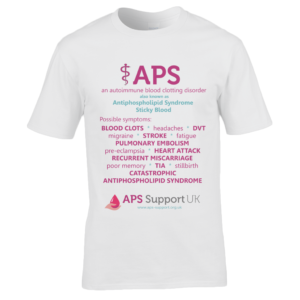 What is APS? 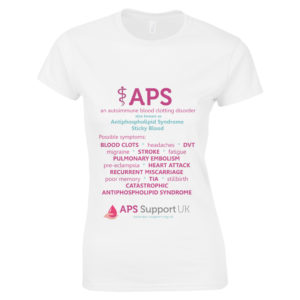 – Antiphospholipid syndrome (APS) is a blood clotting disorder that can cause strokes, heart attacks and DVT’s. In pregnancy, it is a leading cause of miscarriage, stillbirth and pre-eclampsia. 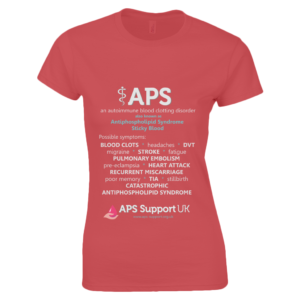 APS Support UK are the only charity dedicated to supporting anyone affected by APS. 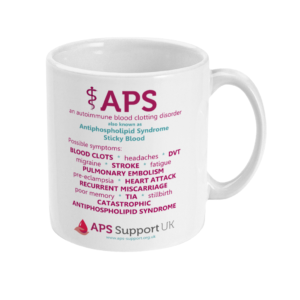 They aim to achieve earlier diagnosis, and better treatment, by raising awareness of the condition and helping fund research. If you are looking to place a large order, please contact us at info@eatonwarfarin.com. 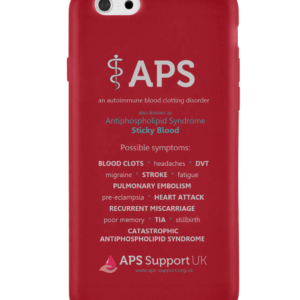 Depending on the size of your order we may be able to offer a reduction in price and postage costs.